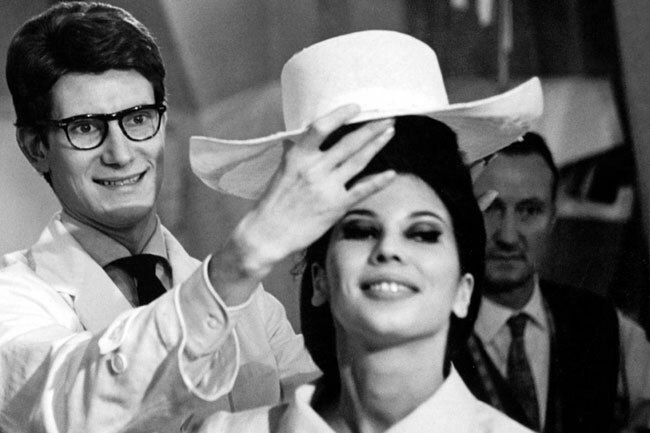 Yves Saint Laurent does what he does so well in a vintage still from L'Amour Fou. First-time director Pierre Thoretton crafts a tribute to legendary fashion icon Yves Saint Laurent in the 2010 documentary L’Amour Fou. The film examines Laurent’s relationship with his friend, business partner and years-long companion Pierre Bergé. Upon Yves Saint Laurent’s death in 2008, Bergé decided to sell their private art collection, a sale considered to be “the auction of the century.” Each object and art piece — many of which are examined in this movie — seems to tell a story about their personal lives. Filled with rare material archives and exclusive images of Laurent and Bergé’s homes, L’Amour Fou (a French expression that roughly translates into “crazy love” in English) played film festivals around the world, including the Tribeca Film Festival in New York. The documentary received a limited release to theaters in the U.S. in late May, 2011, earning $300,000 at the domestic box office. On the DVD , the film is presented in French with English subtitles.